It's time for a new sketch at Freshly Made Sketches. Woo hoo! When I saw the sketch, I was a bit afraid. I started looking over my stamps, saw this cute retired set, and knew it was PERFECT! 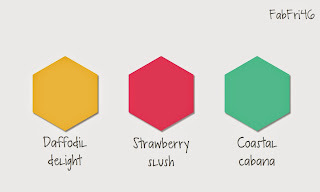 I used another color combination from the Color Coach, Pool Party, Crushed Curry, and Old Olive. Now my first thought was a window. Then I thought I might stamp a scene and cut it up. Then I realized I don't have very much mojo this week, so I went for easy and just stamped the simple stems and called it good. Sometimes easy is best, especially when we are struggling. 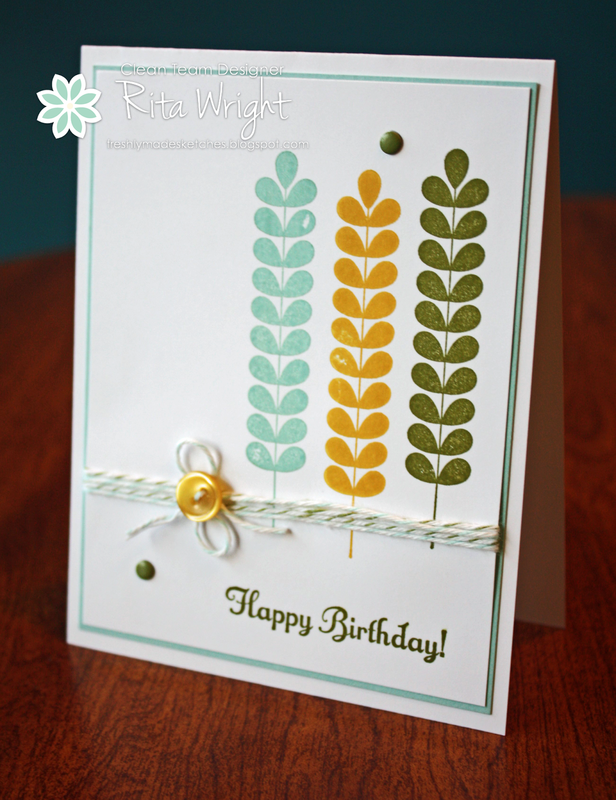 Labels: Apple Blossoms, Freshly Made Sketches, Rita Wright, Something to Celebrate, Stampin' Up! Happy Monday! (Is there such a thing?) I actually don't mind Monday; Sunday and Tuesday seem to be Laila's most terrible Terrible 2's days, so Mondays are usually a nice break between them. lol I ran off to my stamp room today while she napped and this was what I came up with. I had started it last night but couldn't get it to come together. It seemed easy today and I do like the result. 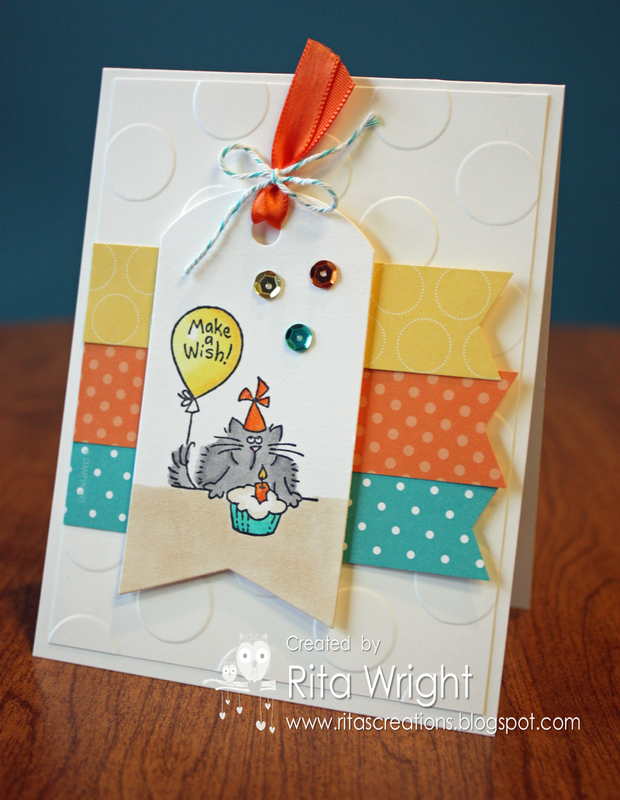 It is for the MFT Wednesday Stamp Club sketch and uses their Bokeh Builder and LJD Birthday Greetings stamps. I can't resist sketches with banners. I figure banners, sequins, and chevrons have to be over soon, but I am so in love with them all that I will just have to be off trend and keep on using them. I love the slightly retro feel to the colors. 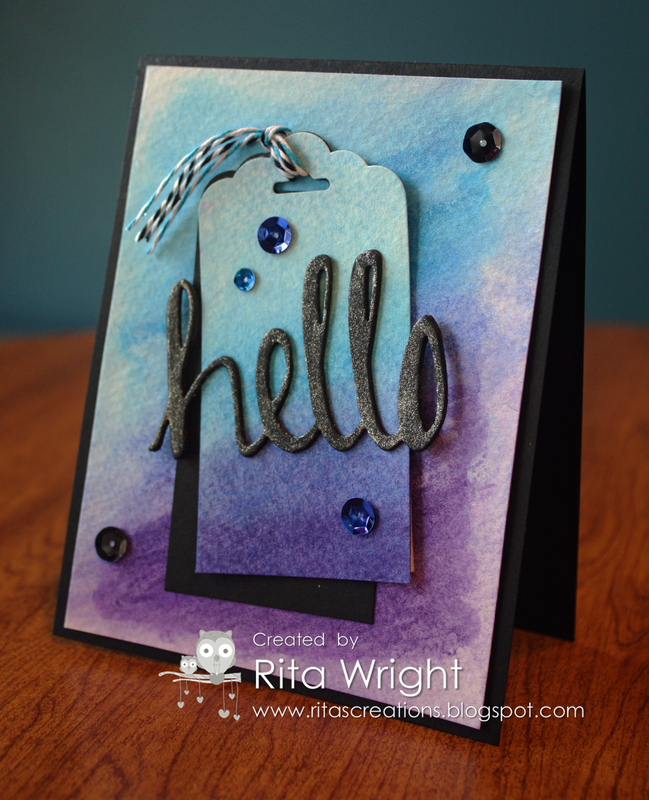 Labels: MFT stamps, MFT Wednesday Stamp Club, Rita Wright, Stampin' Up! 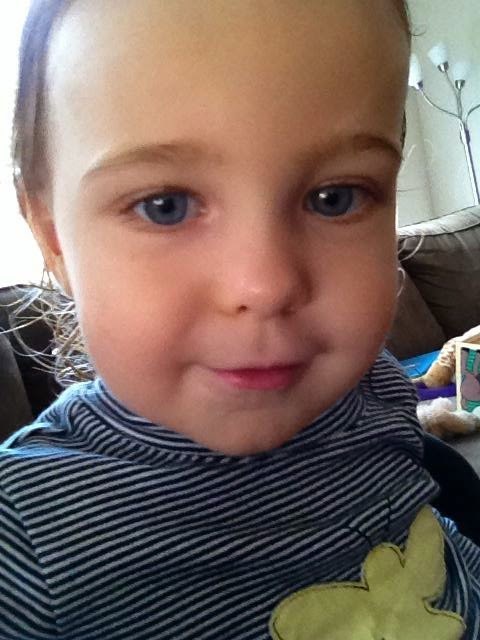 Avery Elle has another great challenge at the AEIHeartU challenge blog this week. Since I've been feeling a little blue, I decided that sunshine was just what I needed today. 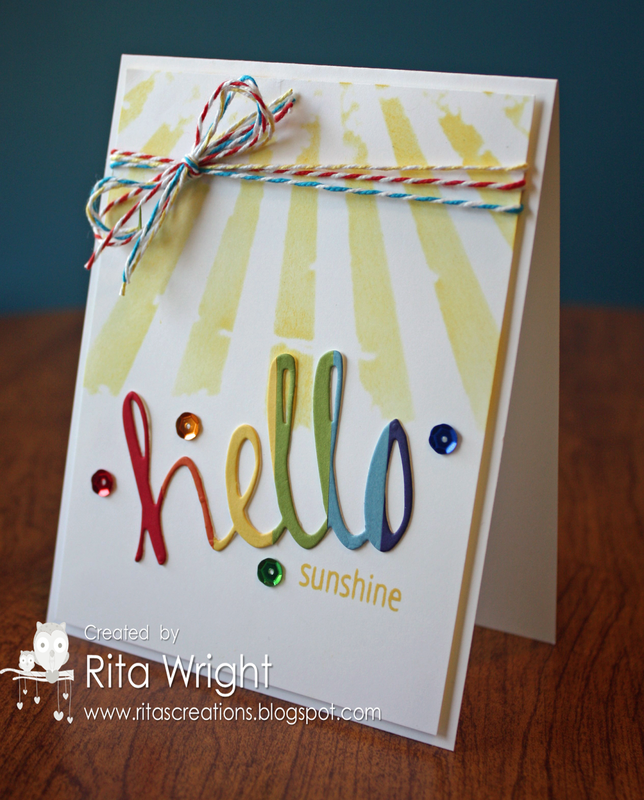 I used a stencil to make some sun rays, die cut the hello like a rainbow, and added some sequins and baker's twine for a fun element. It makes me happy to look at, so I'm saying this card is for me. Maybe I'll mail it to myself since next Saturday is the most difficult day of the year for me. I hope you are stamping a bit this weekend as well. I know I haven't been doing it nearly enough myself. I want to try to do better, so maybe you'll see a few more cards from me next month. The Dare to Get Dirty challenges are coming up soon at Splitcoast and those are on my list to work on when they start up next week. Laila needed her picture taken after her bath the other night. lol She's so silly sometimes. My card is a bit busy for using such a simple sketch. I was just adding and adding and finally had to just STOP before it got any more out of control. Kinda Eclectic seems to have that effect on me. lol I used a new color combination for me, Lost Lagoon, Pool Party, and Pear Pizzazz. They are so lovely together! Someone was sad that they missed the card photos, but she still posed anyway. lol She slept great last night without any medicine, so fingers crossed that the cough is gone for good! I managed to make a second card yesterday in addition to the one for my event. 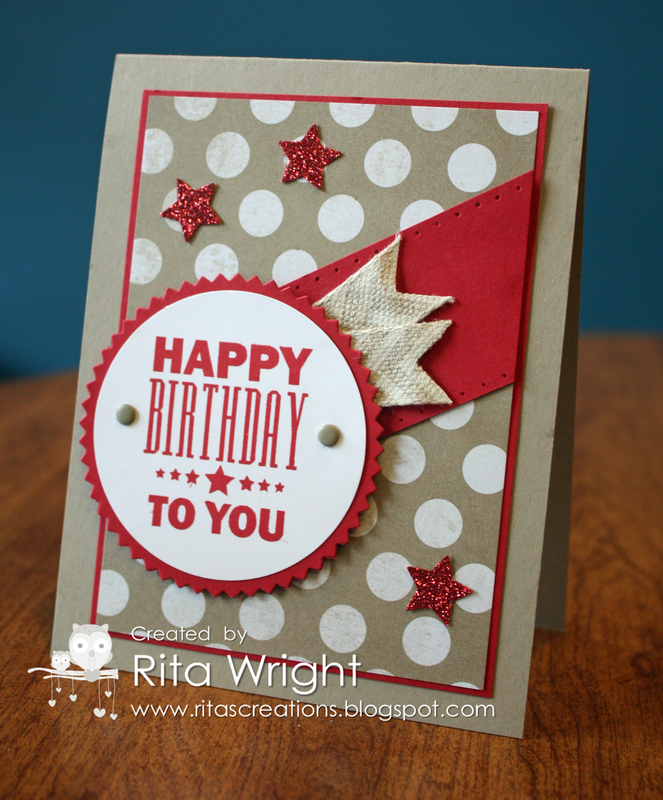 I really wanted to play along with the MFT Wednesday Stamp Club sketch, so I pulled out my new MFT set, LJD Birthday Greetings. I love birthday stamps! 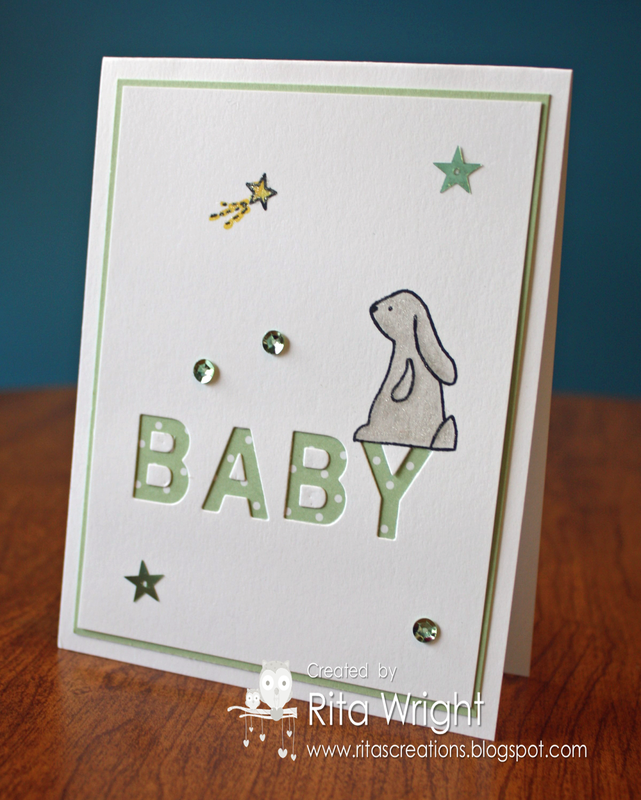 I added a few glittery stars, but kept the card pretty simple to make it masculine. 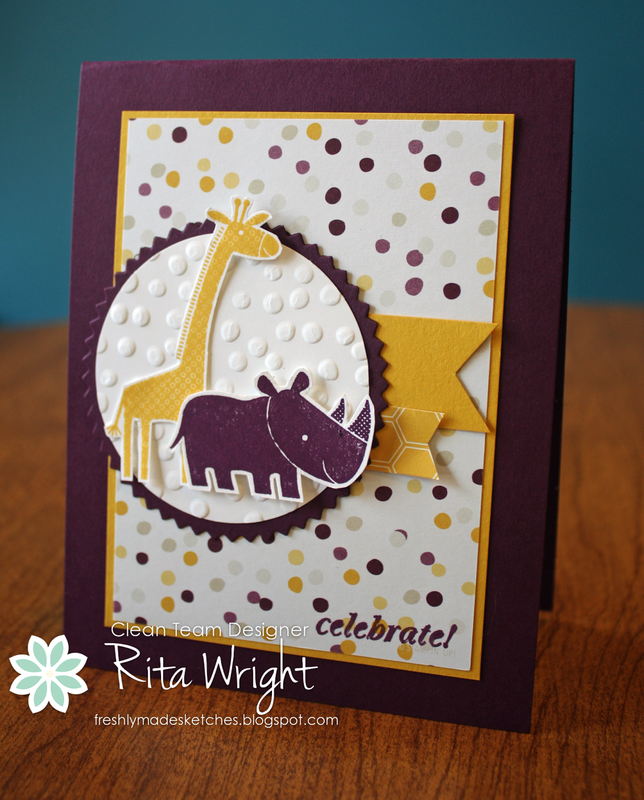 I had to include some "spots and dots" to enter the Simon Says Stamp challenge this week too. Sigh. 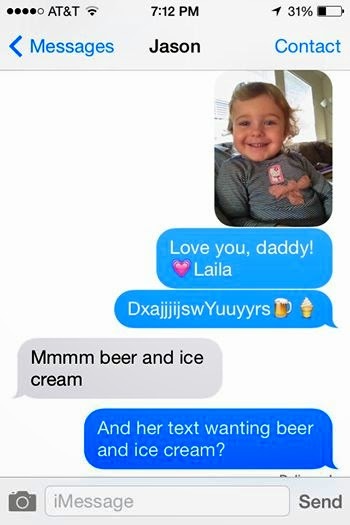 The never-ending mess of a toddler. 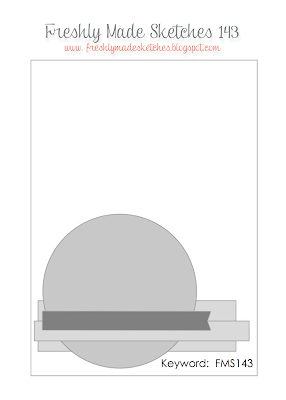 It's Wednesday, so time for a new Freshly Made Sketches challenge! The queen of layers and fussy cutting, Narelle, is our hostess is week. She has a fabulous sketch with banners. 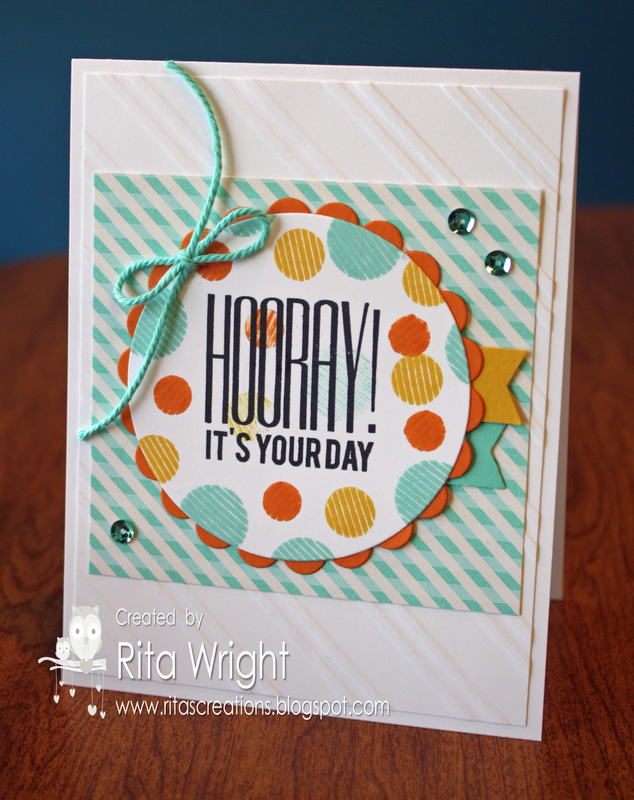 I am a bit short on time lately, so I whipped up this card for both the sketch and my stamping event this weekend. It's nice when you can do that, right? 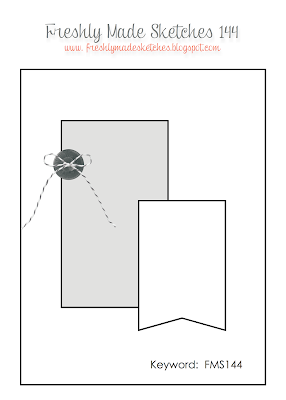 I might change out the designer paper (DSP) for my event so that the sentiment shows up a bit better. I love the new set called And Many More. Do you have it yet?! Isn't that a fun sketch? I love it and might even do a second card for my event with it. :) Our theme is kids birthday cards and I think that fits perfectly with the banners. We took Laila to the park last week and as always, I had to take my camera along. I was so happy when I looked at my pictures and saw this one. She's in motion so much now that it's hard to snap a lot of really good shots. When I do get one, it makes me super happy. :) Unfortunately, she's feeling worse now. I think she might have a summer cold. Saturday night was rough with coughing and everyone waking up all night. Yesterday brought sneezing and a runny nose along with no nap. We are going to be worn out if this is a long lasting thing. Blah. It's times like this when I wish my mom was close. Not having anyone nearby to help gets rough doesn't it? Sorry for the not so great picture. I finished too late for the good lighting and wanted to get it posted while I had a minute to sit down. I just got in some new stamps and wanted to play along with the AEIHeartU challenge using one of them. I also need more baby cards, so the theme was a pretty easy choice. ;) The challenge this week was to use just one word on your card. Fun, right?! I might sneak and take a better picture tomorrow once there's better light, but we'll see how that plays out. We have company coming for breakfast and I know it will be a busy morning. Quiche and company are totally worth it though. Labels: AEIHeartU, Avery Elle, Stampin' Up! Hello! It's been a while, but you can usually count on me to show up on Wednesdays at least. 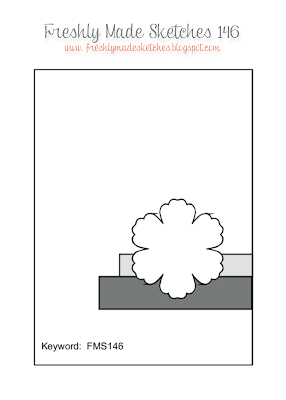 It's Freshly Made Sketches day and we have a great new sketch from Karren. 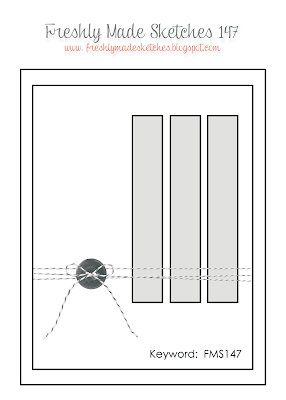 If you check out the cards from the design team, you'll see how versatile it is! I love how we all have such different takes every week. When I went to upload my card I discovered that I forgot to put my little clip on where the button is. It's been a rough few days with Miss Laila, so my mind is a bit tired and forgetful. I did get it out and put it on my desk, but it must have been lost in the mess and I didn't see it. I hope the punched edge and number on the ledger make up for it. It's a pretty simple card, but I love the black and vanilla together. 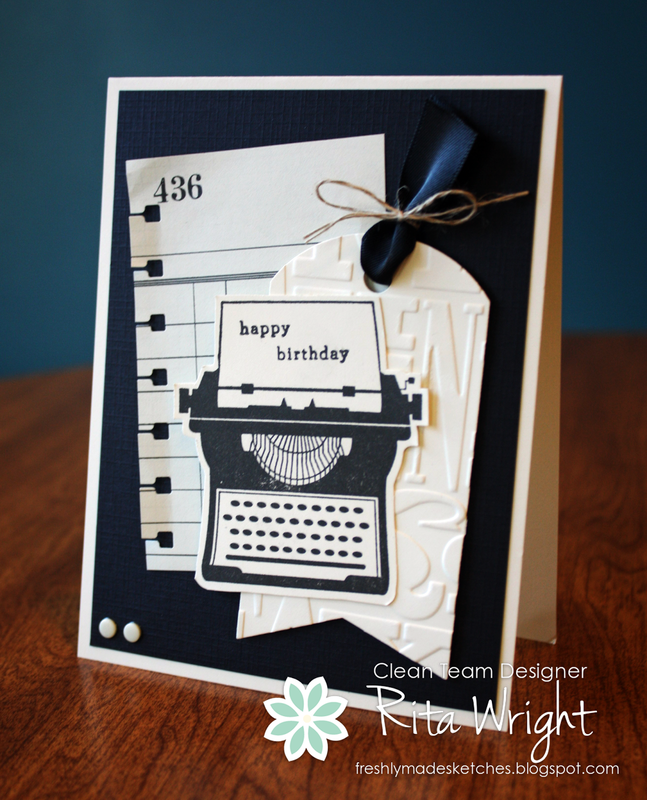 They pair so well with the old school typewriter! Laila got to have her first s'more on the 4th and she LOVED it. :) She was a complete mess afterwards, but she enjoyed it. Our neighborhood is supposed to be firework free, but that never happens. Thankfully she's a good sleeper and didn't wake up with all the noise. Hello! :-) This tired momma finally ran off to the stamp room today to make something. I have been fighting off headaches and exhaustion for a while now, but today I decided to take some Excedrin and go stamp anyway. I saw the fun challenge at AEIHeartU to use gold and gave it a shot. I am not a big fan of gold, but I had fun with this card. 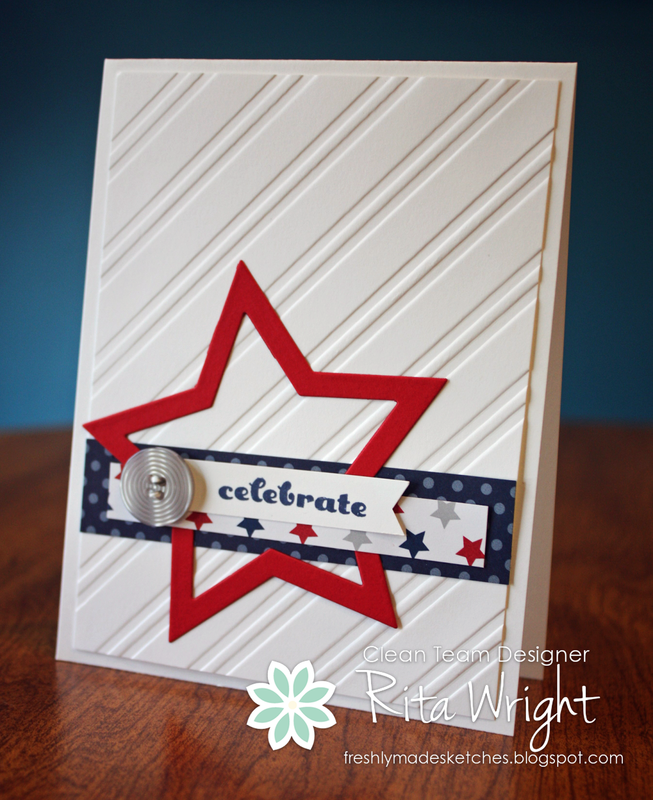 I used the Avery Elle Simply Said Hello stamp set with the coordinating die, plus I threw in a few stars from my favorite, Party Animal. Fun stuff. 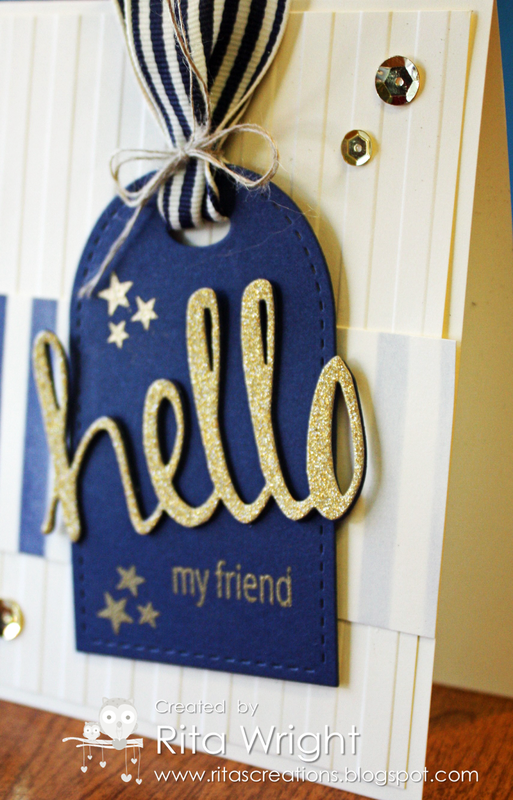 I paired the gold with navy, a sponged ombre strip, and a cute tag. Can't forget the sequins either, so I threw in a few of those as well. I cut out a few layers of the hello die and glued them all together to make it a bit more sturdy and give it dimension. My assistant for card photography helped out. She said it was a cute card, so it is officially Laila approved! It's Wednesday, which means a fun new sketch at Freshly Made Sketches! Cindy L is our hostess and she has a great sketch this week. I really enjoyed it and have another idea that I need to work on tomorrow before my brain loses it. :) I went patriotic since we are so close to July 4th. I used a bit of the stuff from June's My Paper Pumpkin Kit. 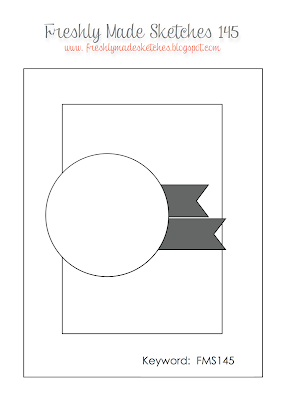 It's a very simple card, but still fun and festive for the holiday. See? Fun sketch! If you don't like circles, you can change it up like I did. I do like circles, but I like stars a bit better. Banners and strips of pretty paper are also a favorite of mine. Be sure to check out what the rest of the design team made as there are some amazing samples over on the blog! We were all lazy yesterday and had a pajama day. I think Laila and I took super long naps. I guess we are still trying to catch up from the birthday excitement. Just playing around a little tonight before bed. 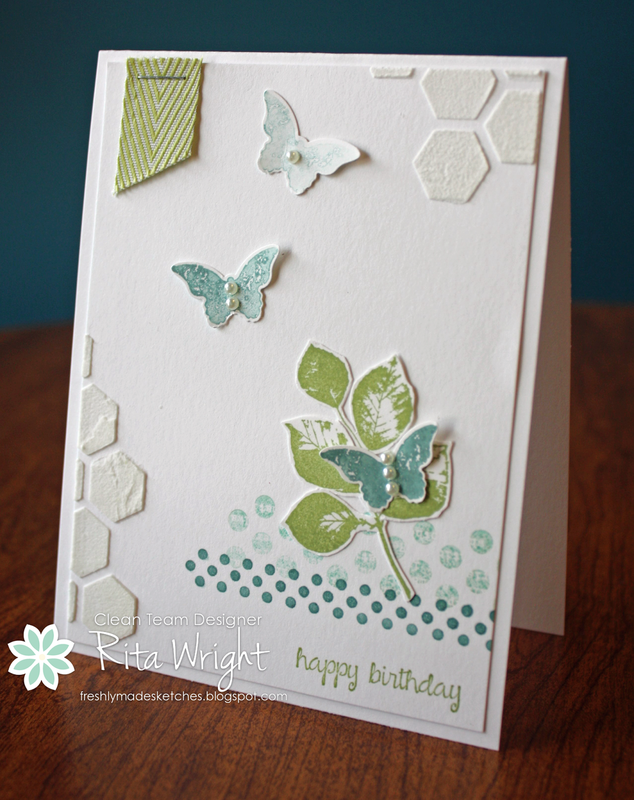 I really need the break that stamping gives me, so I'm trying to do it as much as I have to chance to now. I have been napping more than usual because of some sleep issues at night, but I'm hoping to kick that habit and start stamping again while Laila naps. Jason is off this week, so I'm getting a little time after dinner to play at least. :) I was playing around with my Copics and some old stamps I found while trying to clean my room. 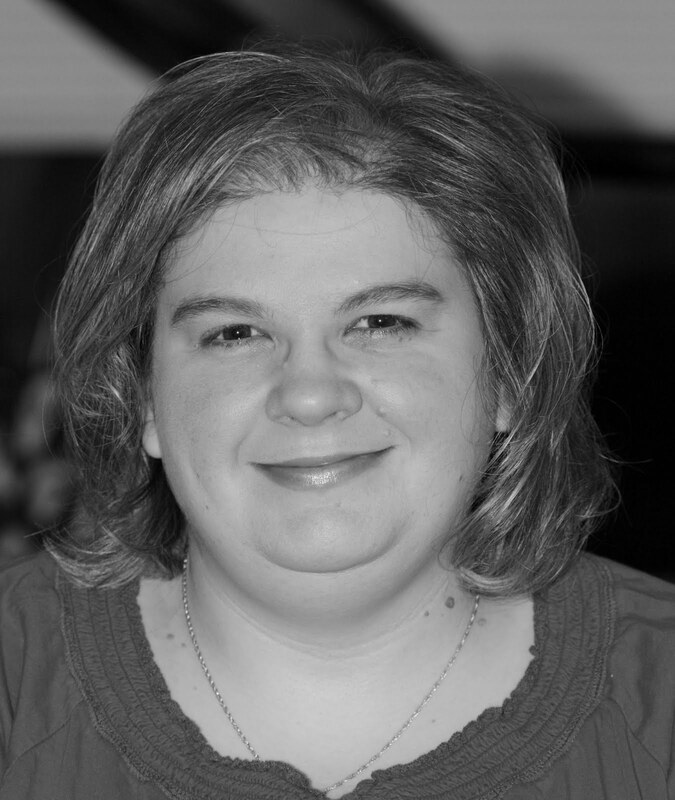 Before I signed up with Stampin' Up! I was totally in love with Fluffles and have a few of the stamps. I enjoyed coloring him tonight, so you might end up seeing more of him. I am such a sucker animals, coffee, and sunshine stamps! I am on the lookout for some pretty sunflower stamps too, so let me know if you are aware of any. There's some out there, but I haven't found just the right one for me yet. 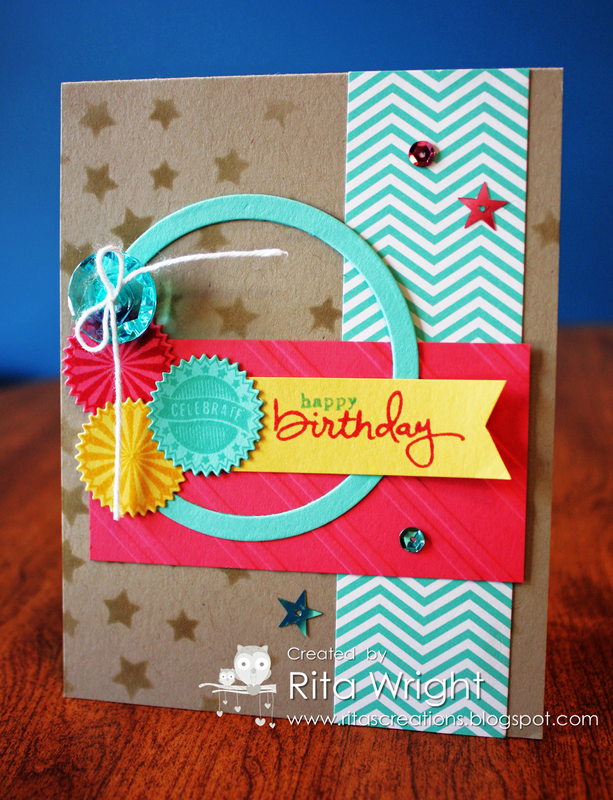 Bermuda Bay, Pumpkin Pie, and Daffodil Delight are a super fun color combination for birthdays! Try it! 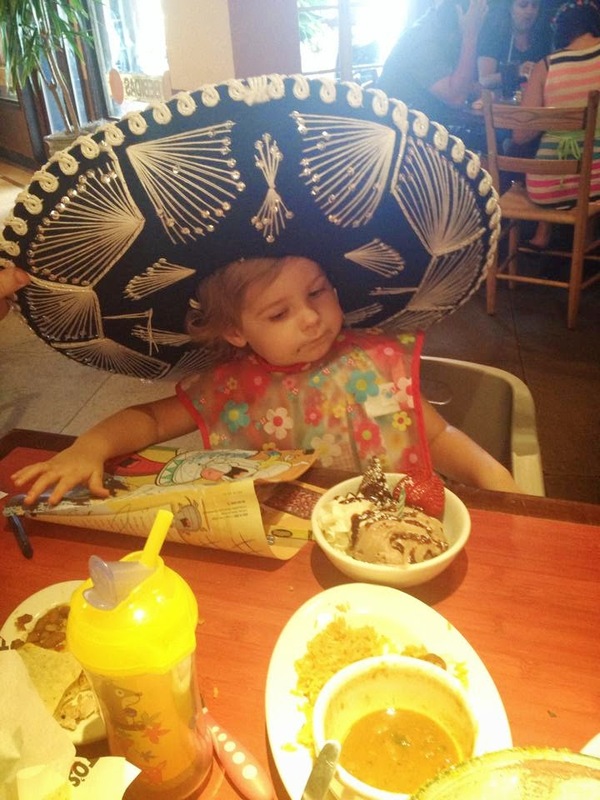 We took Laila out for Mexican food for her birthday dinner and at the end they came and sang to her. She got to wear the hat too. lol She LOVED it. 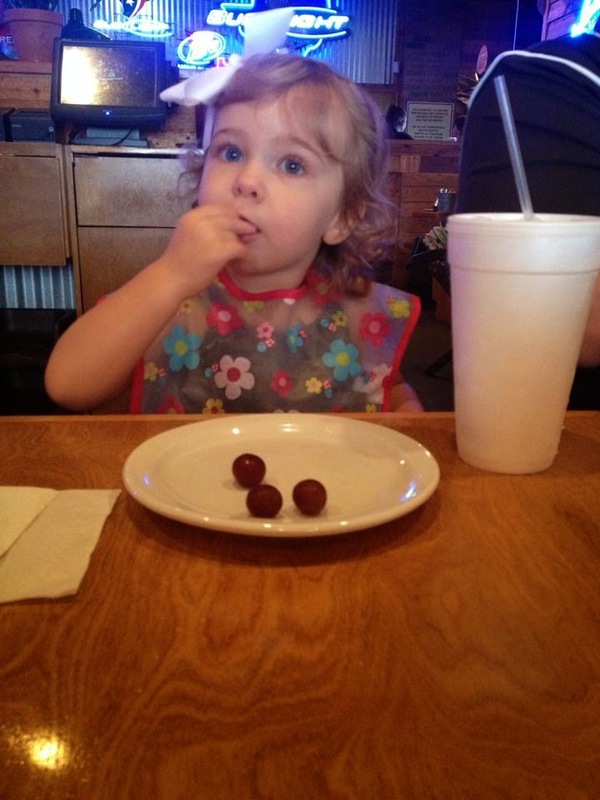 Our server thought she might cry and be upset, but she was clapping along with them and having a great time! She seems to love the blowing out the candles part of birthdays. Every day she's been clapping and saying Yay! Blow out the candle! Hilarious!